Looking forward to any feedback on them. if someone was having a Evl build done - would it be better to start with a russian S12 sporter or one of these? If the metalurgy of the US is equal to the Russian, then the US would be a better starting point since no conversion related work is required. There would be a reduction in price for wpnz grade and evl grade builds. How do you determine if it is up to spec? Simply hammering a bunch of turkey loads through it, until something breaks? Or something a little more precise such as taking the parts to a welding shop (or heat treat facility) with xray and rockwell hardness testers? I bet kissing each part with a hardness file set like this: https://www.amazon.com/Flexbar-Hardness-Testing-File-Set/dp/B001CTI7TE would be informative. I know I've seen sets for about half that somewhere or other too, if you want to do some quick searching. That could tell you things that a few hundred dollars in ammo wouldn't. Though, I am sure you would want to do heavy ammo testing too. If it is a turd it won't take long to figure it out by firing it. People who buy guns and don't shoot them much or at all have allowed many manufacturers to simply throw something at the wall, see if it sticks, and get away with it since most buyers will not run things hard or hard enough to break them. Hopefully, they are building for shooters. Will a saiga 12 adjustable gas system work on the ks12? It looks like the standard model has a cloned Saiga 12 gas system and there is another with a non-adjustable gas system like the Vepr 12. I have Gunfix'r's adjustable gas plugs in both my S-12, and S-410. They seem to provide all the range of adjustment that you'd ever need. I've never handled a VEPR, so don't know if the plugs will fit and work on the VEPR or not. Don't forget copper-based never-seize on the threads! Vepr doesn't have adjustable gas regulator. If I were calling the shots, that is the first thing that would change about the Vepr 12. May as well make it self adjusting. It would require only 2-4 more parts for the gun. A poppet and a spring, and a second poppet and spring ideally. Adjustment screws would be completely optional. Though you could have a ramped and detented preload adjuster, kinda like old motorcycle shocks. Tune your gun in by setting it to a click, then forget it forever. 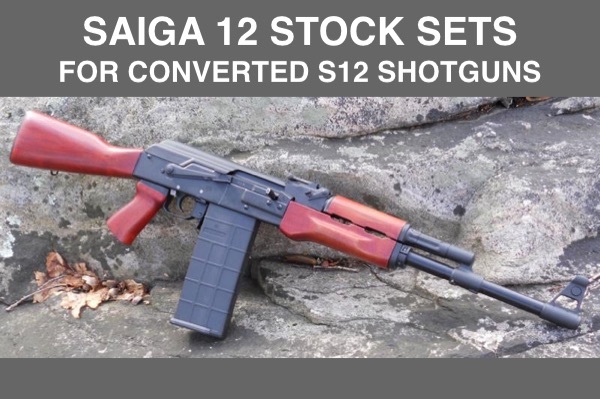 I wish I could dig around in the Saiga 12 prototypes and see what great ideas were never refined enough or were too expensive to make it to production. There may be an awesome gas block in there somewhere. Carolina Shooters has many parts at accessories for the KS12. Everything "Saiga12" will fit the KS12, including our 6-position manual gas plug regulator. There are a few videos of the KS-12. Apparently no BHO, just a notch in the safety. Seems decent enough right out of the box. Maybe I should turn my S12 into one. I really hope they make one with an AK front end like the 433s and Veprs. It might just be a cosmetic thing but to me it does look a whole lot better and from what I remember converting the front end was hundreds of dollars in parts alone. Ill be changing stocks if I buy one anyway. We'll see if it's reputation lives up to the name. I hope they don't. No adjustable gas block and makes it a PITA to chop one sub 10". Not a lot of information/review of the ks12 so I rolled the dice and purchased one via atlantic. Now since I was indoor my only option was low brass, but who am i kidding---that's mostly all I shoot anyhow. Results...just 1 FTE for 1st 200 rounds. So far so good. Used federal 100 pack and winchester AA. I mostly just care about the gas tube length I guess? I think that is the thing that matters as far as handguards fitting[?] Vepr mags fitting would be a bonus, I just want to have the AK-esque front end without paying 450 dollars to convert it. So best of both worlds: Vepr with an adjustable bloc. "Not a lot of information/review of the ks12 so I rolled the dice and purchased one via atlantic." Have had one for six months. Rebuilt the same gun, and thoroughly range tested this gun, and many other KS-12's in different configurations with a wide range of ammo (low base 1200 FPS bird shot to 1400 + FPS high base ammo). The gun is every bit the shotgun that the Saiga is and more. 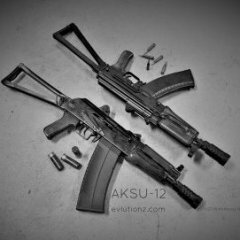 After tearing down and rebuilding several of these guns, its clear that there is virtually no difference between the Kalashnikov USA KS-12, and the Russian Saiga 12. The guns are functionally completely identical. The American versions (aside from being machined from billet rather than from cast and forged parts) are equal to the Russian versions, and vice versa - in every way. If you're a Russian gun purist, this is a true ethnic Russian. Born in the USA with true American manufacturing quality, these shotguns remain completely true to original Russian design and absolutely Russian in character and execution. There remain small differences from gun to gun. The guns are clearly hand assembled from standardized parts in a factory prescribed step by step process which directly mirrors Eastern European Com-block process. The differences between the American and Russian manufactured guns lie not within the assembly process (which apparently are the same) but within the parts themselves. I have no idea if this will continue to hold true in the future, but where the Russian guns use cast, forged, and machined parts, the same parts in the US guns are machined from solid milled billet. In practical and qualitative terms, there is virtually no difference working with a cast, forged and machined part, and a part machined from solid billet. That being said, regardless of country of origin, the Russian remains my favorite gun to work with. Mike, what parts are from billet? Pretty much everything. Front and rear trunnions, and gas block all appear to be machined from billet. On the early gun I have the upper portion of bolt is clearly machined from billet, lower portion appeared to be a good quality casting. On the later guns I've worked on, both upper and lower bolt portions appear to be machined. Bolt carrier appears to be completely machined as well. Might be machined from a forged blank, but it sure looks, works, and feels like milled billet to me. Fire control group - trigger and disconnector are standard Tapco G2 single hook hardware (castings). The hammer (cast) is either an exact copy of the Russian Saiga 12 hammer, or is actually a Russian part. Forgot to mention i did have to fit the oem magazine myself prior to firing. It would not snap into the receiver from the factory. Not a huge deal, but slightly disappointing from a brand new firearm you spent 900 for. No worries though. At least the mag wasn't wobbling all over the place. I'd rather have to fit. Sounds like a winner. Agreed. Not so long ago a US made Saiga assembled from top notch materials, with operating parts machined from solid billet was almost too much to hope for. Given the way these are made, a $900 price tag isn't surprising. Hopefully (since the factory already has the capability to create one) we'll see a Version 030 iteration of the gun sometime in the not too distant future. Fully machined makes a lot of sense to me.. You get a few swiss machines and a bar stock magazine and the machine makes parts day and night with occasional refills of tooling and bar stock. The three bays across the lot from me is all swiss machines.. I've watched and the owner has been away for as long as three days and the machines are still cranking away. I think the price is spot on for something that doesn't require conversion. I have to admit that I am not very excited about an 030 unless they do it with an adjustable gas block and regular handguard. 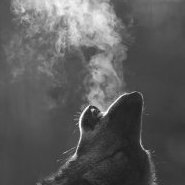 An adjustable gas system would be a big plus. A category winner really. They have the tooling, so let's keep our fingers crossed. The big news in this that the Saiga drought is over. Whether they roll out the new models quickly or slowly, in my estimation K-USA has demostrated that they can deliver the goods. That's HUGE! Is it possible to put "standard" handguards on an unconverted front end? I just looked on Ironwood Design's page [happy they're still around] and they show an S12 with AK style furniture on it and the gas tube sticks way out in front. as if you can then that pretty much removes my only reservation. Sorry to burst your bubble, but that's a picture of a Saiga 308. They must've temporarily used that picture because they don't have the Saiga 12 page set up.